WHR systems allow excess thermal energy to be converted into mechanical or electrical energy. The so-called waste heat recovery process therefore contributes to reducing fuel and energy consumption. 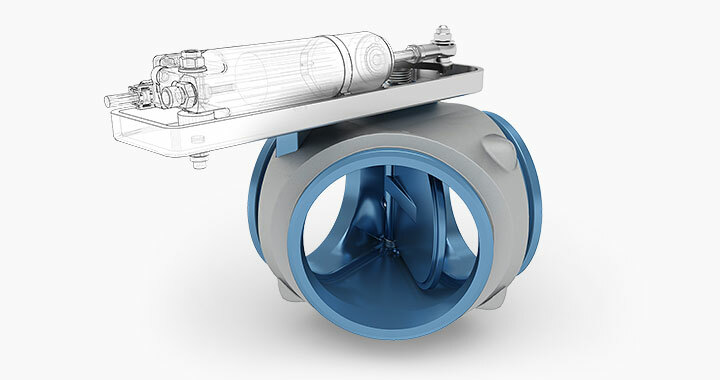 The highly efficient WHR flap valves from Klubert + Schmidt are a part of this system and function as changeover valves which switch a heat exchanger on and off. The available heat from the exhaust gas is transported to an adjoining exhaust gas system and then converted into mechanical or electrical energy.